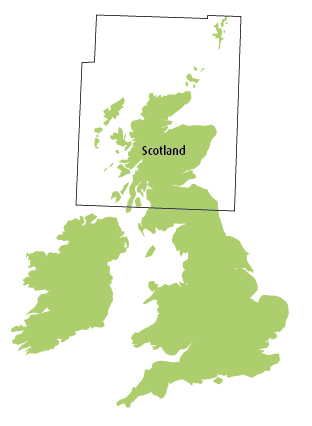 CAA/NATS 1:500 000 aeronautical chart covering Scotland for visual flying navigation. ICAO-specification VFR topographical chart, updated annually. Airspace information to FL195 depicted.